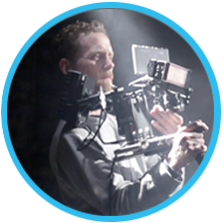 Dom is a director for commercials, branded content, corporate films and drama with over 15 years of experience in the industry. He is creative and has a wide base of knowledge and interest. Dom enjoys working collaboratively with talent and crew and has excellent client-facing skills. He brings energy and ideas to every job right through from pitch to delivery. He is a skilled offline editor with an excellent knowledge of workflows and colour grading. Recent work includes films for Kia Motors, Waitrose, Littlewoods, TIGI/Unilever, Fudge/PZ Cussons and Astra Zeneca. My short film ‘looks dangerous to me’ won the BECTU/DV Talent short film competition and ‘Been Here For Days’ was selected for the London Short Film Festival.